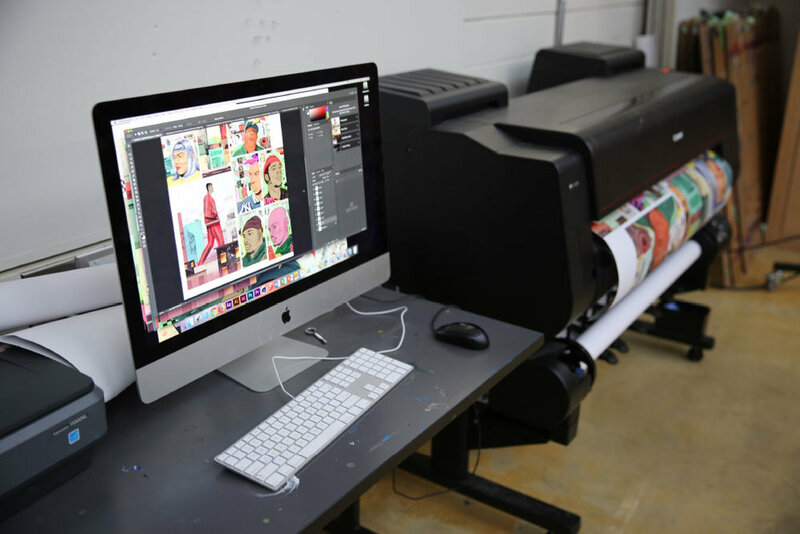 Sheridan’s illustration department houses several multi-disciplinary spaces, including areas for drawing, painting, and digital production. Our double-height ceilings feature large skylights in most of our studios, providing naturally lit spaces to work comfortably. The Hybrid studios feature space for students to work seamlessly across traditional and digital media. Rooms are equipped with large format scanners and printers, large drawing tables, and Cintiq HD interactive pen displays. The drawing and painting studios feature two-storey model stands that provide varied perspectives for our students as well as opportunities for unique model and still life setups. Easels or donkeys are available for diverse drawing and painting approaches. The “fourth year room” (also known as A128) is a large work space reserved exclusively for our graduating cohort. Divided in two parts, this large space easily offers ample room for lectures, critiques, and a digital lab only accessible to the fourth year students. This collaborative space becomes a community and a home for our graduating group. 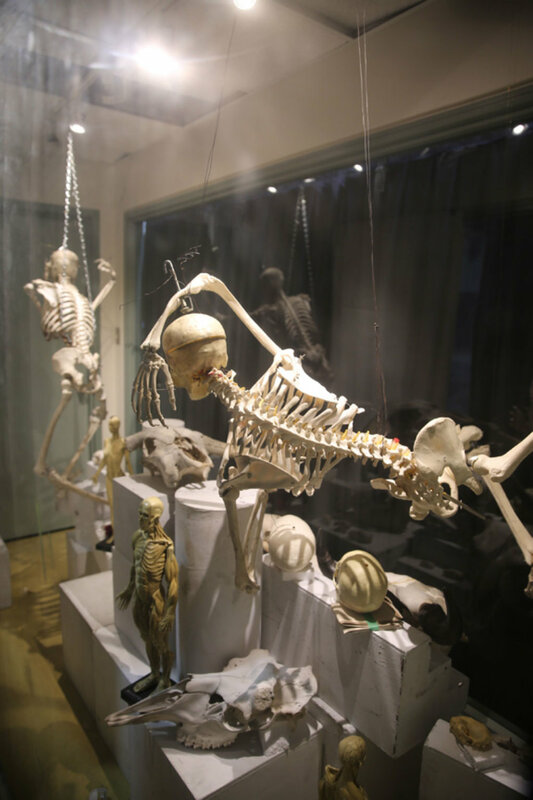 Our natural science collection includes human and animal skeletal specimens, insects, and bird and owl specimens from the Royal Ontario Museum. The specimens are always on display as drawing reference and are removed from cases for in-class drawing. Our studios are equipped with Wacom Cintiq HD interactive pen displays as well as large format archival printers. 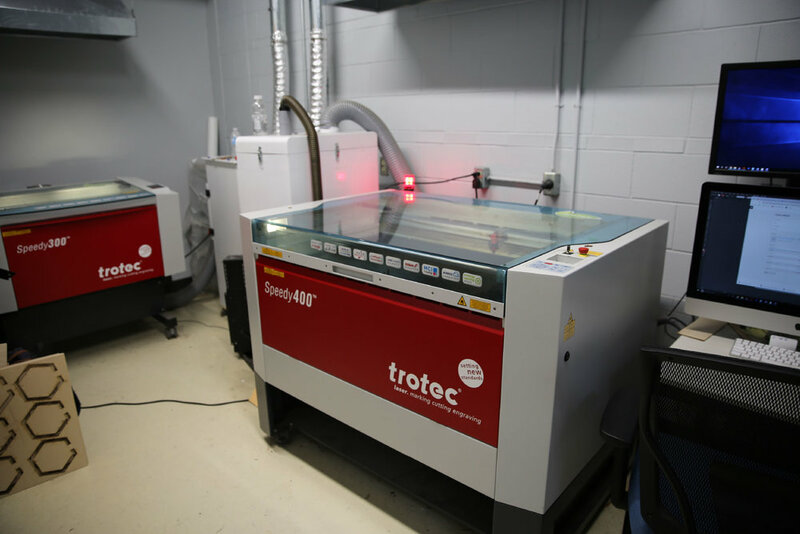 The Fabrication Labs (shared FAAD resource) offer the opportunity for our students to work with laser cutting and engraving as well as 3D printing.